We’ve written about Robert A. Heinlein’s rules and Elmore Leonard’s rules. Are you ready for Jack Kerouac’s? Like most college liberal arts guys in the 70s, I went through a big Kerouac phase. 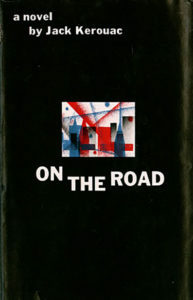 It started, of course, with On the Road, the slightly fictionalized account of Kerouac’s roamings in post-World War II America. 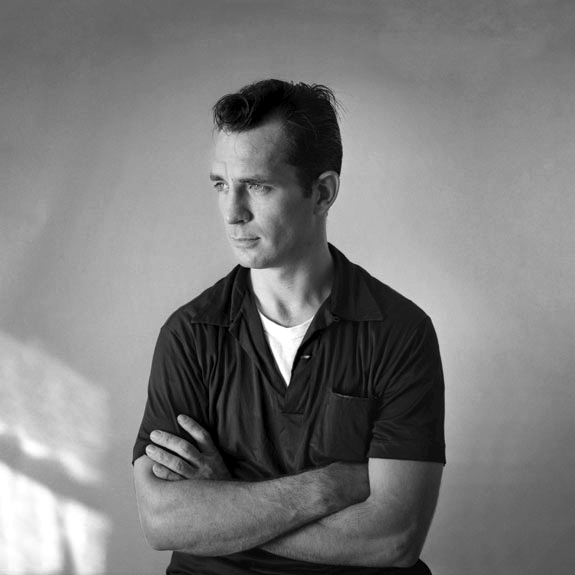 There’s a myth that Kerouac completed his most famous novel in three weeks, on a rolling scroll of butcher paper, so he wouldn’t have to stop to remove pages from the typewriter. Indeed, much of On the Road was written in first draft that way, but Kerouac re-worked the manuscript several times before it was published. This is not exactly the stuff of structure. Indeed, while On the Road is linear in form, Kerouac’s subsequent work became more and more experimental—with the attendant decline in sales. (I will not pause here to once again emphasize the correlation between structure and sales, even though I just did). He died of alcoholism in 1969 at the age of 47, twelve years after publication of On the Road. What Kerouac and the Beat Generation writers were after was a new kind of prose, a sort of be-bop rhapsody that most truly captured an experience. In that regard, these wild ideas are good for getting out of the way of yourself, to become a “crazy dumbsaint of the mind.” The writing then becomes a kind of “tranced fixation dreaming” and makes writing “for yr own joy” possible. This is all fine as far as it goes. Kerouac thought that was far enough. But it proved otherwise. For at some point “yr own joy” needs to translate to the readers. On the Road did that. So, too, did his next-most successful novel, The Dharma Bums. After that, things started to get sketchy. I am literally going to be on the road today, driving back to L.A. from Las Vegas (no, I didn’t put it all on red. Came for a meeting and research for my next novel). I’ll check in, but please talk amongst yourselves. Have you read Kerouac? What do you find of value in his advice? I have been known to use this space to prattle on a bit about how to get that creative spark exploding, using a bit of this or that. Here I go again. I had no idea at all until a couple of hours ago that there is a low-cost transportation service popularly known — to those who know it at all — as the Chinatown bus. Its service area is expanding by the month but its purpose is to get you from your city of residence to Chinatown in New York. It can do this from Columbus, Ohio, to name but one place, for around thirty dollars (the more you plan ahead, the less a ticket will cost you). You show up on the second block of East Main Street downtown at the day and time appointed — buses leave twice a day — and twelve non-stop hours later you are dropped off at a storefront in New York’s Chinatown. I was familiar with Megabus and some of the other curb-to-curb interstate bus services but this is a new one for me. The service has its own website which you can use to book a trip and also discusses the company’s history, which is extremely interesting as well. I managed to quickly find a couple of folks who have used this and who told me some extremely interesting stories about using it. While the service was originally designed to accommodate Chinese and other Asian immigrants, anyone can use it with some money and planning. Think about that: a non-stop trip to New York for less than it would cost you to drive there. If you got on the bus wanting inspiration, you would almost certainly have something in mind by the time you reached your destination, just by observing your fellow passengers and taking notes. If you weren’t inspired by the trip, certainly being dropped off in the middle of New York will get those creative juices percolating. I’m thinking — yes, you do smell smoke — of taking the Chinatown bus to Thrillerfest XI just for grins next year. And maybe just for the heck of it before that. I may even put it on my bucket list. Does this appeal to you? Would you use such a trip — or any trip — as an inspirational jump starter? Or do you regard travel, regardless of mode, as a necessary evil that enables you to get where you want to go, and nothing more? And do you have a favorite travel story or novel? 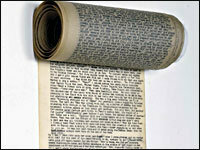 Mine is — of course — ON THE ROAD by Jack Kerouac, typed on a roll of toilet paper. Yours?